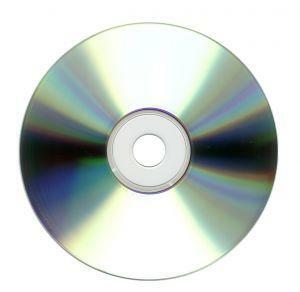 This DVD video shows you how to set up, cast on, cast off and how to use the tools that come with the machine. The Studio LK-150 is a versatile, dual gauge knitting machine that allows you to use a wide range of yarns to produce lightweigh skirts and chunky sweaters all on the same bed. This video will take you through the Studio LK-150 step-by-step to help you enjoy your knitting machine to its fullest potential. You'll learn the basics like casting on, increasing, decreasing, stripes, and plaiting. Then you'll learn to knit cords, cables, lace, and fancy pattern stitches. We'll take you through all the steps of knitting and assembling a sweater. In addition, there are lessons on Intarsia knitting and Weaving techniques. You can stop your video and rewind anytime that you have a question. In addition, the LK-150 manual is cross referenced to the video with page numbers that appear on the screen. The LK-150 is fun to use and this step-by-step video makes it easier than ever! The Education Department at VWS and your local Studio dealer are dedicated to ehlping you learn to use your LK-150 for years of creative, easy knitting. 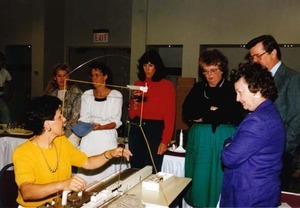 About Susan Susan Guagliumi’s career in the machine knitting industry has spanned more than 25 years and included positions with three knitting machine companies, culminating with the position of Education Director for Studio by White Knitting Machines. During those years she oversaw all dealer education, consumer publications, videos and workshops. Susan’s garment designs and technical articles have appeared in machine knitting magazines, including Machine Knitters’ Source, Knit Words and Machine Knit America; hand knit publications like Fashion Knitting, Knitters Magazine, Vogue Knitting and Family Circle Easy Knitting. Susan’s books include Knitting Cuff to Cuff: Twelve Sweaters One Way (2007) and Knitting Saddle Style: Twelve Sweaters One Way (2008). Hand-Manipulated Stitches for Machine Knitters (HMS), which was out of print for several years, remains one of the most popular machine knitting books ever published and is available through Amazon.com. Although HMS sports a new cover and some corrections to the original text, it is the same book—at the same old price. The video has been converted to DVD and is available from Guagliumi Press. In March, 2010, More Hand-Manipulated Stitches was published. All of her books are available through this web site or Amazon.com. Susan’s most recent book, Handmade for the Garden, is a collection of 75 creative garden projects published by Stewart, Tibori and Chang. She is currently working on Mostly Hand-Manipulated Stitches. Susan lives in Connecticut with her artist/professor husband, Arthur, a black Labrador named Blue, and a big grey cat named Buster. Susan Gualumi: Distributor training at Singer (Made by Silver Reed).